Bob Smith describes the power of Shakespeare, and recalls his own life, in "Hamlet's Dresser." 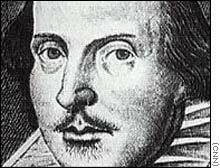 (CNN) -- Literary historians generally divide William Shakespeare's dramatic output into four categories: comedies, tragedies, histories, and "problem" plays. The latter, works such as "Measure for Measure" and "All's Well that Ends Well," are referred to as such because they are darker in tone than the comedies and don't come to neat resolutions. Those are the works that Bob Smith likes best. "They seem more like real life to me," says Smith, author of the memoir "Hamlet's Dresser" (Scribner), in a phone interview from his home in Stratford, Connecticut. "I like that. ... Sometimes the more psychological plays are more interesting to do with people." Smith does Shakespeare with people a lot, but he doesn't perform the works, nor does he direct his charges -- often senior citizens at various New York classrooms and facilities -- as amateur actors putting on a show. Instead, he approaches Shakespeare like an apostle, a missionary, and walks his audience through, line by line, helping them understand the poetry and meaning of the Bard's words. "I do it for me, not for them," he says. And, as he makes clear in "Hamlet's Dresser," he means every word, because Bob Smith has been holding onto Shakespeare's sturdy lines all his life. NOTE: Page will open in a new browser window. In a vivid prose, "Hamlet's Dresser" recalls his early childhood in southern Connecticut and a life entwined with the Bard. Smith was born in 1941; three years later, he gained a sister, Carolyn. In the vernacular of the time, Carolyn was "not right." The family didn't handle the little girl's developmental disability, and the challenges it brought, with ease. Smith's mother started pathologically cleaning the house; his father joined the Army for a time, then returned to his uneasy marriage. Young Bob took refuge when he could with his grandparents and, soon, at the library. It was there one rainy day that he opened "The Merchant of Venice" quite by chance and read the opening line: "In sooth I know not why I am so sad." Suddenly, Smith writes, "Shakespeare was like staring at the religious calendars or the Latin Mass. Poetry became a beautiful place to hide from my life and from my parents, a place I knew they'd never follow me to." The first line of Shakespeare's "The Merchant of Venice" -- "In sooth I know not why I am so sad" -- changed Bob Smith's life. Smith, who turns 61 on Wednesday, followed his Shakespeare passion to the local Stratford Playhouse, where he worked as a dresser and watched actors such as Jessica Tandy and directors such as John Houseman bring the playwright's words to life. Later, he became a painter -- "good enough to buy the next canvas," he says -- and did his Shakespeare illuminations as an avocation. But lurking in the background was his childhood and adolescence. As she got older, Carolyn would beat on the refrigerator incessantly; she never learned to clean herself. Smith became his sister's caretaker as his mother and father retreated to silence. One day, when he was 20, his sister was taken away, to a home where she remains today. For Smith, it was a shot in the heart. "Hamlet's Dresser" came about because of a 1996 article in The New York Times about him and his classes. Smith was approached by several publishers who thought there was a book in his story. He signed with Scribner, but wasn't sure if he could create anything. It took him five months to write 20 pages. "I called back [after writing the 20 pages]. I said [to them] it shows me I could do 200," he says. "I can't spell, I can't punctuate. But they liked it. I said I could do it if they were patient, and they have been." It wasn't easy. Smith, who'd never written anything before, would write draft after draft by hand -- "I've got 12 boxes upstairs," he says -- then record what he'd written and listen to the tape "to pick up flaws and redundancies." Then he would revise and rewrite before finally handing it off to a typist. "She wouldn't do it until I'd [gone through it] 50 times," he says. Perhaps even more difficult was reliving his childhood. "It was very painful ... but I felt like I owed something to the little boy I used to be," he says. "I felt that kid is also my child. He's the person I leave behind. I wanted to say stuff out loud, and I didn't care where things fell." So Smith cast his mind back, remembering his family's constant moves, his conversations with people at the senior centers, the shopping for china and furniture with his grandmother, traveling cross-country with Bert Lahr, and spending nights with his silent sister, as she kicked the refrigerator and watched the faucet drip. He likens the process to an actor losing himself in a part. "I've directed a lot of actors in Shakespeare, and I especially like it when they own the moment," he says. "That is what I did in the ... painful moments in the book. From that place I could smell and see and be in the reality of that moment. It was like an acting exercise." Like his constant forays into Shakespeare, it was also a way to learn about himself -- and the world. When he's teaching the playwright to his students, he says, there is nothing more rewarding than forging a connection. "There are steps to learning. And the more complex [the work] is, the more worth it, it is to create that atmosphere."